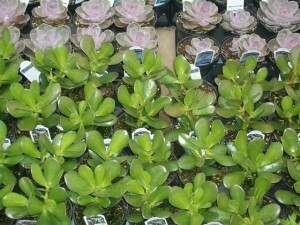 Succulents are ideal for novice gardeners, urban areas, balcony gardens, green roofs and water restricted areas. 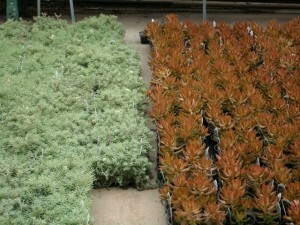 Succulents offer gardeners a wide variety of colors and textures that can be utilized and an even wider range of uses. 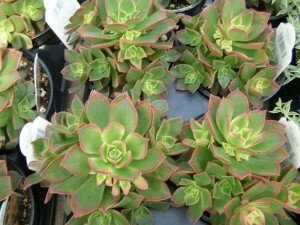 Each type of succulent is different and in it’s own way has outstanding features. 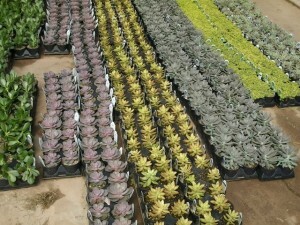 Succulents come in a wide range of colors and wide variety of shapes and sizes. 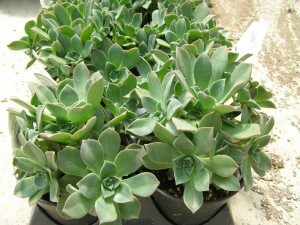 Check out the links below to see what each of the succulents we carry look like. 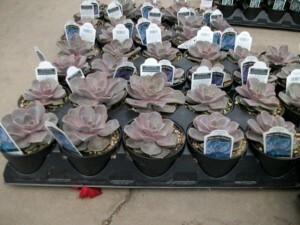 Succulents can go a long time on very little water which is what makes them so popular. 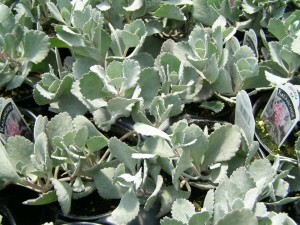 The larger the leaves and plants the more water the plants can hold. This is why you will see succulents used in green roofs and in landscapes where the water hose or irrigation doesn’t reach. 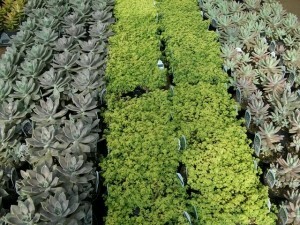 A quick look on Pinterest and you can see the hundreds or even thousands of ways that succulents can be grown. 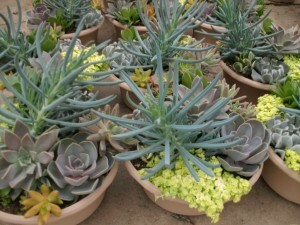 Popular trends on social media will also show you that succulents can be grown in almost any contain in almost any location so go ahead and try something different. You even might go viral if you post it. 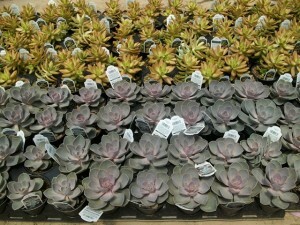 Our succulents are available with our #4.5 Premium Annuals and in #10 Bowls in the Spring. Succulent pages of items we no longer grow for your reference. 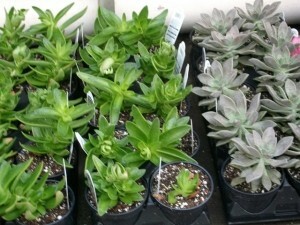 I have a home and garden shop in NC and am looking for a wholesale supplier of succulents. Do you ship? Thanks.